This weekend players can spend 19 Strange Coins on Exotic Gauntlet Engrams. Hunters can grab the Sealed Ahamkara Grasps gauntlets, Titans can pick up The Taikonaut helmet, and Warlocks can purchase the Apotheosis Veil helmet which all cost 13 coins. 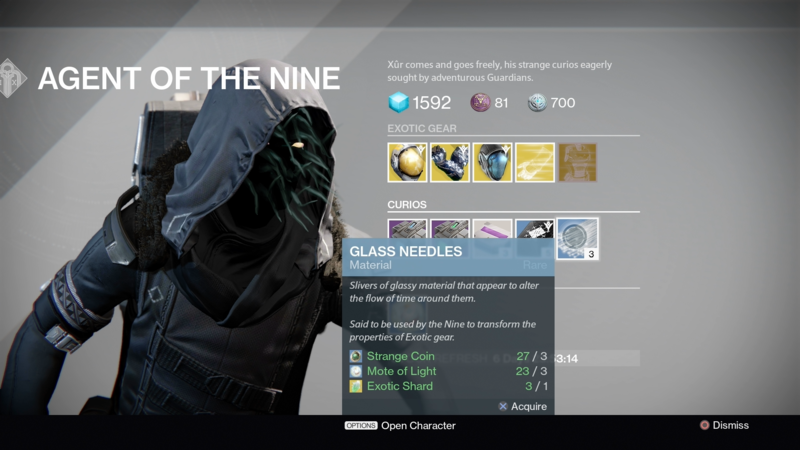 For this week, Xur – Agent of the Nine can be found in Tower North, opposite The Speaker. In other Destiny news, April’s update has been detailed. It will introduce changes to the infusion system, add new “chroma gear,” and more.